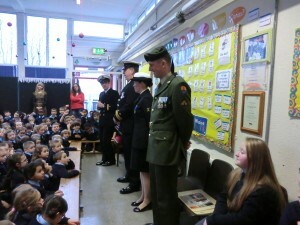 We had a very special day today at St. Colman’s National School. 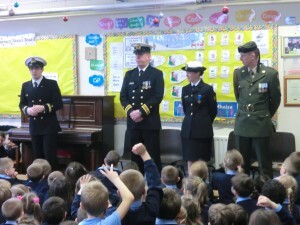 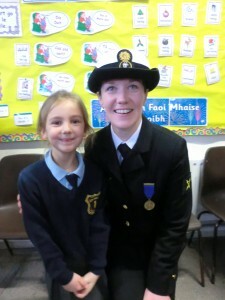 We had a visit from the Irish Naval Service. 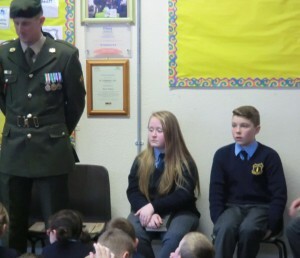 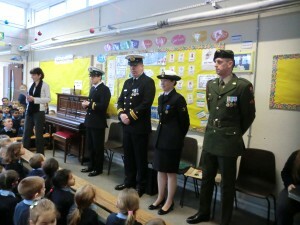 Petty Officer Kara Moloney, Sub Lieutenant Daniel Cagney and Lieutenant Commander Brian Dempsey from the Irish Naval Service were joined by Trooper Ian Cotter from the Irish Army. 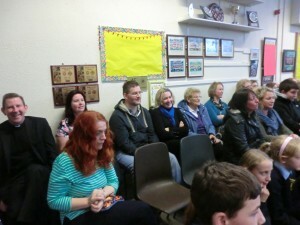 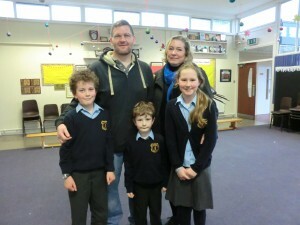 Brian is a parent of Darragh, Eoin and Saoirse who are pupils of St. Colman’s. 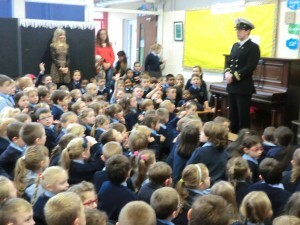 Our visitors were telling us about a special day 100 years ago. 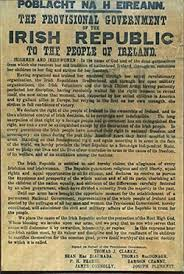 They told us about people who had a vision to make things better and asked us how we can make Ireland better for the future. 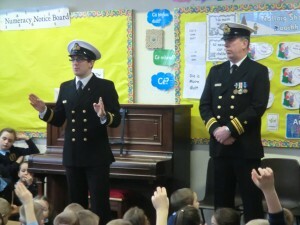 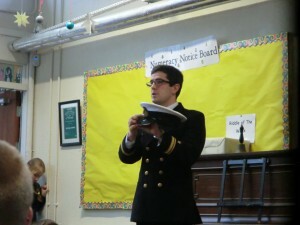 We also learned about their uniform and the jobs they do. 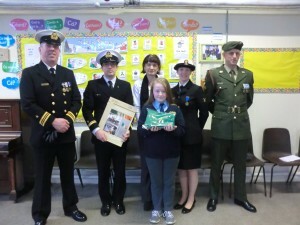 Our guests presented us with our own Irish flag, the tricolour. 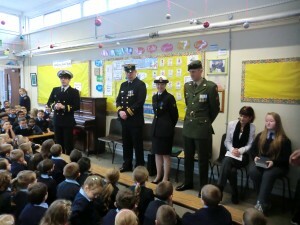 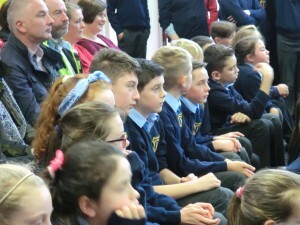 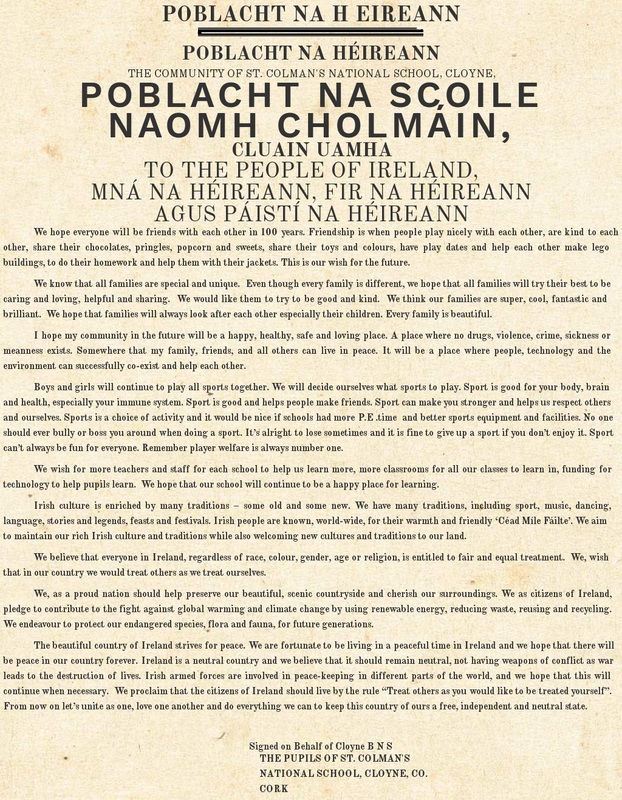 They presented this to our sixth class pupils. 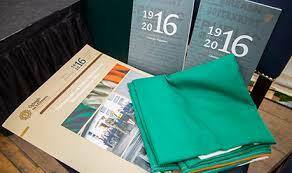 We will unfurl this at a special ceremony on 15th March 2016 along with every other primary school in the country. 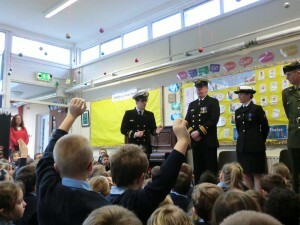 Thank you to our visitors today for their wonderful interaction with our children. 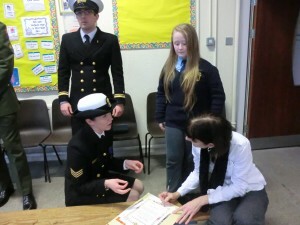 The Blackmore Family, Fergus is also a member of the Naval Service. 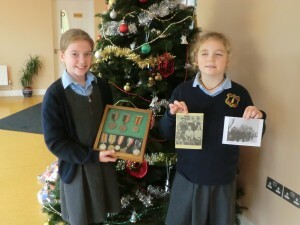 Cailíní ó Rang a ceathair brought in some memorabilia from their “Grandparent’s Collection”.